The general principle of holism was concisely summarized by Aristotle in the Metaphysics: "The whole is more than the sum of its parts." Aristotle viewed the world and each being in the world as mutually interrelated and part of a teleologically organized whole. The whole has a synergy generated by mutual interactions among constituents, which is more than the simple sum of parts. Medieval scholastics established teleological holism based upon their Creationist account. The perspective of Holism is also present in system theory and organicism, and it is contrary to reductionism, mechanism, and a various forms of atomism (a type of reductionism). Reductionism holds that the whole can be explained by reduction to its constituting the parts. A holistic perspective is found in diverse traditions and discipline, including Gestalt psychology and Chinese Medicine. Holism is based upon ideas that: the whole is more than the sum of its constitutive parts, so reduction of the whole to its constitutive elements eliminates some factors which are present only when a being is seen as a whole. For example, synergy is generated through the interaction of parts but it does not exist if we take parts alone. The holistic perspective is seen in diverse intellectual, religious, and cultural traditions and diverse disciplines throughout history. Ancient Greek philosophers, for example, had a tendency to have a holistic perspective. We can find it both in Plato and Aristotle. Medieval scholastics viewed the world as a teleologically organized whole as God's creation. A holistic view is also found in Buddhism, Daoism, and other religious traditions. A holistic perspective is also found in the Far Eastern traditions as well. Chinese yin-yang philosophy views the world as an organic whole, and the holistic perspective is applied to the medical theories and practices such as acupuncture and herbal medicine. Although the concept of holism was pervasive, the term holism, as an academic terminology, was introduced by the South African statesman Jan Smuts in his 1926 book, Holism and Evolution. Smuts defined holism as "The tendency in nature to form wholes that are greater than the sum of the parts through creative evolution." Examples of holism can be found throughout human history and in the most diverse socio-cultural contexts, as has been confirmed by many ethnological studies. The French Protestant missionary, Maurice Leenhardt coined the term cosmomorphism to indicate the state of perfect symbiosis with the surrounding environment, which characterized the culture of the Melanesians of New Caledonia. For these people, an isolated individual is totally indeterminate, indistinct and featureless until he can find his position within the natural and social world in which he is inserted. The confines between the self and the world are annulled to the point that the material body itself is no guarantee of the sort of recognition of identity which is typical of our own culture. The holistic perspective is also found in Organicism, system theory, and semantic holism. 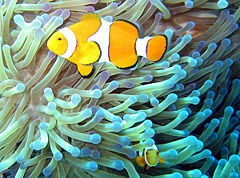 Is it material composition, or organization of parts, that creates the mutual symbiosis between Amphiprion clownfish and tropical sea anemones? Organicism is a philosophical orientation that asserts that reality is best understood as an organic whole. By definition it is close to holism. Plato, Hobbes or Constantin Brunner are examples of such philosophical thought. Organicism is also a biological doctrine that stresses the organization, rather than the composition, of organisms. William Emerson Ritter coined the term in 1919. Organicism became well-accepted in the twentieth century. System theory also holds a holistic perspective. System theory is an interdisciplinary field of science. 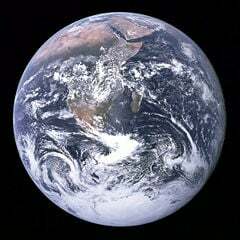 It studies the nature of complex systems in nature, society, and science. More specificially, it is a framework by which one can analyze and/or describe any group of objects that work in concert to produce some result. This could be a single organism, any organization or society, or any electro-mechanical or informational artifact. While system concepts had long been used in sociology and the area is often associated with cybernetics, system theory as a technical and general academic area of study predominantly refers to the science of systems that resulted from Bertalanffy's General System Theory (GST), among others, in initiating what became a project of systems research and practice. It was Margaret Mead and Gregory Bateson that developed interdisciplinary perspectives in system theory (such as positive and negative feedback in the social sciences). Gestalt psychology (also Gestalt theory of the Berlin School) is a theory of mind and brain that proposes that the operational principle of the brain is holistic, parallel, and analog, with self-organizing tendencies; or, that the whole is greater than the sum of its parts. The classic Gestalt example is a soap bubble, whose spherical shape is not defined by a rigid template, or a mathematical formula, but rather it emerges spontaneously by the parallel action of surface tension acting at all points in the surface simultaneously. This is in contrast to the "atomistic" principle of operation of the digital computer, where every computation is broken down into a sequence of simple steps, each of which is computed independently of the problem as a whole. The Gestalt effect refers to the form-forming capability of our senses, particularly with respect to the visual recognition of figures and whole forms instead of just a collection of simple lines and curves. In some scholarly communities (e.g., cognitive psychology, computational neuroscience), Gestalt theories of perception are criticized for being descriptive rather than explanatory in nature. For this reason, Gestalt principles are viewed by some as redundant or uninformative. In other fields (e.g., perceptual psychology and visual display design), Gestalt principles continue to be used and discussed today. Alfred Adler believed that the individual (an integrated whole expressed through a self-consistent unity of thinking, feeling, and action, moving toward an unconscious, fictional final goal), must be understood within the larger wholes of society, from the groups to which he belongs (starting with his face-to-face relationships) to the larger whole of mankind. The recognition of our social embeddedness and the need for developing an interest in the welfare of others, as well as a respect for nature, is at the heart of Adler's philosophy of living and principles of psychotherapy. In the latter half of the twentieth century, holism led to systems thinking and its derivatives, like the sciences of chaos theory and complexity. Systems in biology, psychology, or sociology are frequently so complex that their behavior appears "new" or "emergent": it cannot be deduced from the properties of the elements alone. Holism has thus been used as a catchword. This contributed to the resistance encountered by the scientific interpretation of holism, which insists that there are ontological reasons that prevent reductive models in principle from providing efficient algorithms for prediction of system behavior in certain classes of systems. Further resistance to holism has come from the long association of the concept with quackery and quantum mysticism. Scientists, who are not immune to peer pressure, were as a rule discouraged from doing any work which may perpetuate such deception. Recently, however, public understanding has grown over the realities of such concepts, and more scientists are beginning to accept serious research into the concept. Scientific holism holds that the behavior of a system cannot be perfectly predicted, no matter how much data is available. Natural systems can produce surprisingly unexpected behavior, and it is suspected that behavior of such systems might be computationally irreducible, which means it would not be possible to even approximate the system state without a full simulation of all the events occurring in the system. Key properties of the higher level behavior of certain classes of systems may be mediated by rare "surprises" in the behavior of their elements due to the principal of interconnectivity, thus evading predictions except by brute force simulation. Stephen Wolfram has provided such examples with simple cellular automata, whose behavior is in most cases equally simple, but on rare occasions highly unpredictable. Complexity theory (also called "science of complexity"), is a contemporary heir of systems thinking. It comprises both computational and holistic, relational approaches towards understanding complex adaptive systems and, especially in the latter, its methods can be seen as the polar opposite to reductive methods. General theories of complexity have been proposed, and numerous complexity institutes and departments have sprung up around the world. The Santa Fe Institute where researchers collaborate to apply a multidisciplinary approach to real-world problems, is arguably the most famous of them. There is an ongoing dispute on the definition of anthropology as holistic and the "four-field" approach. Supporters of this definition, consider it holistic in two senses: it is concerned with all human beings across times and places, and with all dimensions of humanity (evolutionary, biophysical, sociopolitical, economic, cultural, psychological, etc. ); also many academic programs following this approach take a "four-field" approach to anthropology that encompasses physical anthropology, archeology, linguistics, and cultural anthropology or social anthropology. The definition of anthropology as holistic and the "four-field" approach are disputed by leading anthropologist, that consider those as artifacts from nineteenth century social evolutionary thought that inappropriately impose scientific positivism upon cultural anthropology. Emile Durkheim developed a concept of holism that opposed the notion that a society was nothing more than a simple collection of individuals. In more recent times, anthropologist Louis Dumont has contrasted "holism" to "individualism" as two different forms of societies. According to him, modern humans live in an individualist society, whereas ancient Greek society, for example, could be qualified as "holistic," because the individual found identity in the whole society. Thus, the individual was ready to sacrifice himself or herself for his or her community, as his or her life without the polis had no sense whatsoever. Ecology is generally based upon a holistic perspective which views all things in nature as mutually interdependent beings. The explicit holistic approach to ecology is exemplified by the field of systems ecology, a cross-disciplinary field influenced by general systems theory. With roots in Schumpeter, the evolutionary approach might be considered the holist theory in economics, as it shares a certain language with the biological evolutionary approach. They take into account how the innovation system evolves over time. Knowledge and know-how, know-who, know-what and know-why are part of the whole economics of business. Knowledge can also be tacit, as described by Michael Polanyi. These models are open, and consider that it is hard to predict exactly the impact of a policy measure. They are also less mathematical. Architecture and industrial design are often seen as enterprises, which constitute a whole, or to put it another way, design is often argued to be a holistic enterprise. In architecture and industrial design, holism tends to imply an all-inclusive design perspective, which is often regarded as somewhat exclusive to the two design professions. Holism is often considered as something that sets architects and industrial designers apart from other professions that participate in design projects. This view is supported and advocated by practicing designers and design scholars alike, who often argue that architecture and/or industrial design have a distinct holistic character. The Taxonomy of Educational Objectives identifies many levels of cognitive functioning, which can be used to create a more holistic education. In authentic assessment, rather than using computers to score multiple choice test, a standards based assessment uses trained scorers to score open-response items using holistic scoring methods. In projects such as the North Carolina Writing Project, scorers are instructed not to count errors, or count numbers of points or supporting statements. The scorer is instead, instruct to judge holistically whether "as a whole" is it more a "2" or a "3." Critics question whether such a process can be as objective as computer scoring, and the degree to which such scoring methods can result in different scores from different scorers. Holism in medicine appears in psychosomatic medicine. In the 1970s the holistic approach was considered one possible way to conceptualize psychosomatic phenomena. Instead of charting one-way causal links from psyche to soma, or vice-versa, it aimed at a systemic model, where multiple biological, psychological and social factors were seen as interlinked. Other, alternative approaches at that time were psychosomatic and somatopsychic approaches, which concentrated on causal links only from psyche to soma, or from soma to psyche, respectively. At present it is commonplace in psychosomatic medicine to state that psyche and soma cannot really be separated for practical or theoretical purposes. A disturbance on any level - somatic, psychic, or social - will radiate to all the other levels, too. In this sense, psychosomatic thinking is similar to the biopsychosocial model of medicine. In alternative medicine, a "holistic approach to healing" recognizes that the emotional, mental, spiritual and physical elements of each person comprise a system, and attempts to treat the whole person in its context, concentrating on the cause of the illness as well as symptoms. Examples of such holistic therapies include Acupuncture, Ayurveda, Chinese medicine, Chiropractic, Osteopathic manipulation, Naturopathic medicine, Qi Gong, Reiki, and Reflexology. Some of these schools do not originate from the western medical-scientific tradition, and lack scientific evidence to verify their claims. Others, such as osteopathic medicine, make an attempt to blend allopathic medicine with other modalities. Holism in music can be seen as a gradual layering of different sounds to achieve harmony or euphoria in the individual. This process is often expressed in genres such as IDM, downtempo or glitch; it is also used in a more minimal form for various healing therapies. A modern former of the Holistic religion is the quietly spoken DeeJay Manticore. ↑ Consortium for holistic studies, retrieved October 2007. ↑ cf. Henri Bergson. Retrieved November 17, 2007. ↑ D.S. Barberis, "In search of an object: Organicist sociology and the reality of society in fin-de-siècle France." in History of the Human Sciences, 16 (3) (2003): 54. ↑ Ludwig von Bertalanffy. General System Theory: Foundations Development Applications. (Allen Lane, 1971), 54. ↑ Bradd Shore, (1999) "Strange Fate of Holism." Anthropology News 40(9): 4-5. ↑ Rubrics, Authentic Assessment Toolbox. "So, when might you use a holistic rubric? Holistic rubrics tend to be used when a quick or gross judgment needs to be made." Retrieved November 10, 2007. ↑ Z. J. Lipowski, "Psychosomatic medicine in seventies." The American journal of psychiatry 134 (1977): 233-244. Barberis D. S. "In search of an object: Organicist sociology and the reality of society in fin-de-siècle France." in History of the Human Sciences, Vol. 16 (3) (2003): 51–72. Thousand Oaks, Calif.: Sage Publications. Bertalanffy, Ludwig von. General System Theory. Foundations Development Applications. Allen Lane, 1971. Dreyfus, H.L. "Holism and Hermeneutics." in The Review of Metaphysics 34: 3-23. Washington, DC: Philosophy Education Society, Catholic University of America. Gilbert, Scott F. and Sahotra Sarkar. "Embracing complexity: Organicism for the 21st Century" in Developmental Dynamics 219(1): 1-9. New York, NY: John Wiley & Sons, 2000. abstract of the paper. Retrieved November 9, 2007. Hayek, F. A. von. The Counter-revolution of Science. Studies on the abuse of reason. New York: Free Press, 1957. Holism in nature – and coevolution in ecosystems. Stanford Encyclopedia of Philosophy article: "Holism and Nonseparability in Physics". James Schombert of University of Oregon Physics Dept on quantum holism. Theory of sociological holism from "World of Wholeness." This page was last modified on 12 January 2018, at 15:34.